Explore the vessels, the fisherman, and the fishing stories of the iconic Great Lakes gill net tug through vessels on display at maritime museum exhibits, gill net vessels actively fishing, and community tours aboard historic gill net tugs. The Great Lakes Gill Net Tug was designed for gill net fishing methods, this boat design and gear dominated commercial fishing activities through the late 19th and early 20th centuries. Made of wood and later by steel, the entirely enclosed Great Lakes’ fishing tug represents a design unique to the Great Lakes. Often nicknamed ‘turtle backs’- this enclosed boat design allows fishermen to fish year round on the always cold and often wind-tossed waters of the Great Lakes. Wood 'turtle backs' were often sheathed in steel to protect the hull as they plowed through the pack ice. Boat builders and fisherman shared, copied, and improved upon the best innovations. By the mid-1900s this design had ‘fully evolved’ and was found throughout the Great Lakes region – a signature and seaworthy design. This vessel is an icon of the Great Lakes commercial fishing industry, and a commercial fishing fleet once consisting of over 900 vessels. 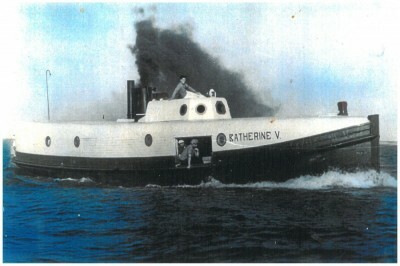 Katherine V was built in 1928 on the shores of northern Lake Huron, where she fished until retirement in 1970. 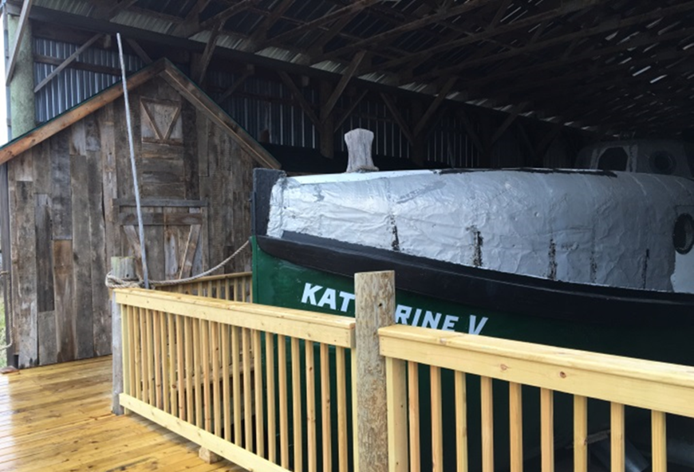 Today, the Katherine V can be visited at the Besser Museum for Northeast Michigan in Alpena, Mich. where you can explore Great Lakes commercial fishing heritage of northern Lake Huron as told through the lens of this historic commercial fishing vessel. Evelyn S is a wooden gill net fish tug built in 1939 by Sturgeon Bay Boat Company. 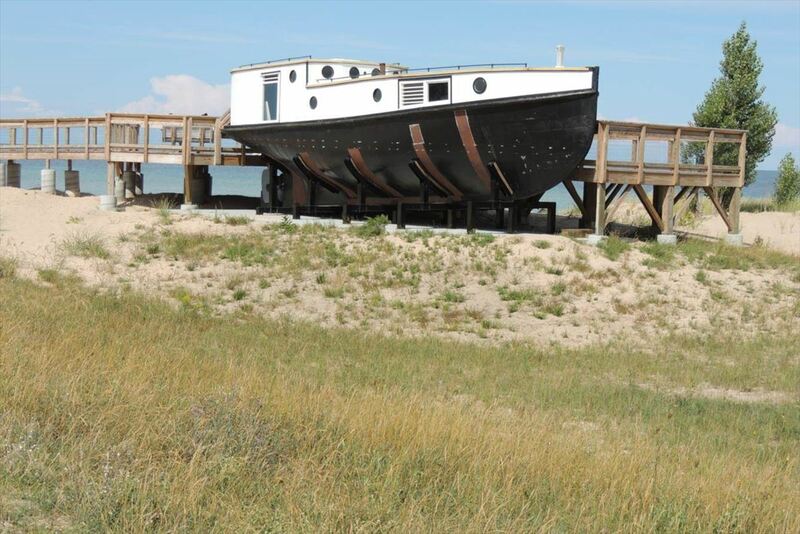 This vessel fished Lake Michigan waters before being donated to the Michigan Maritime Museum (South Haven, Mich.) in 1979. Recently restored, the Evelyn S serves at the center of the Museum’s Great Lakes fisheries heritage exhibits. 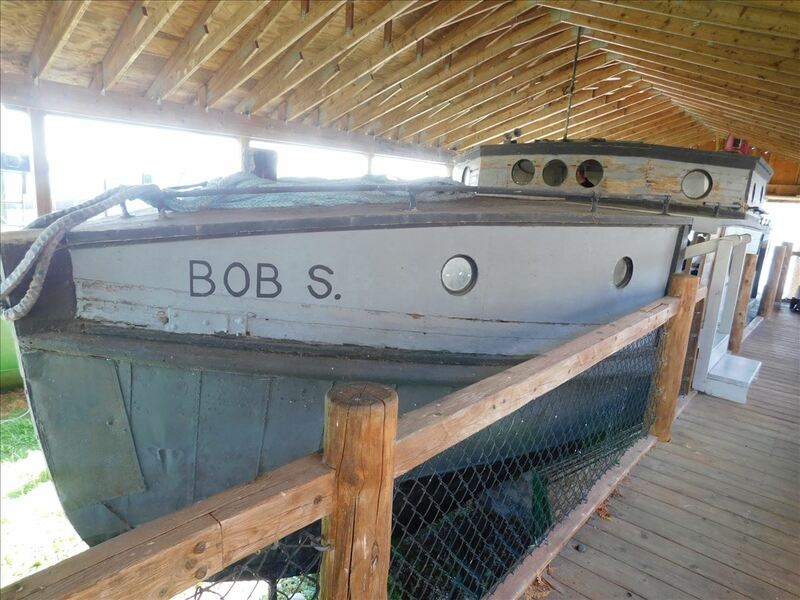 Bob S, also a wooden gill net tug, is a sister ship of the Evelyn S. This Lake Michigan fish tug can be viewed at the Beaver Island Marine Museum (Mich.), which is home to an impressive archive and exhibit of Beaver Island’s commercial fishing fleet. The Beaver Island Fish Market just down the street offers fresh fish for sale, and an opportunity to view an active gill net tug operation on the water. Westshore Fishing Museum in Menominee, Mich. is located on site of the historic Charles L. Bailey commercial fishery. 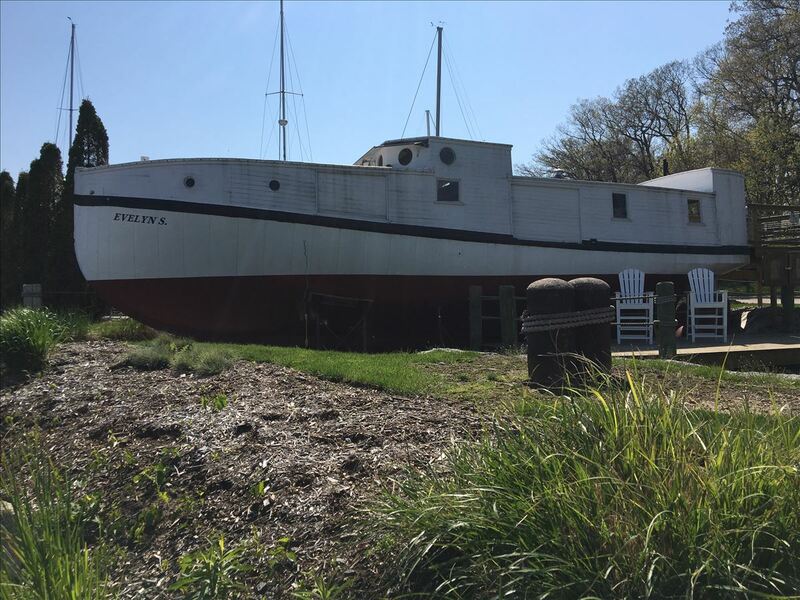 The Museum offers a wide collection of commercial fishing vessels, including a completely restored Great Lakes gill net tug, the Kate A.
Aloha, also built by Sturgeon Bay Boat Company, is a classic 1937 gill net fish tug. Find her on display in the historic shoreline village of Glen Haven (near Glen Arbor, Mich.) part of Sleeping Bear Dunes National Lakeshore. 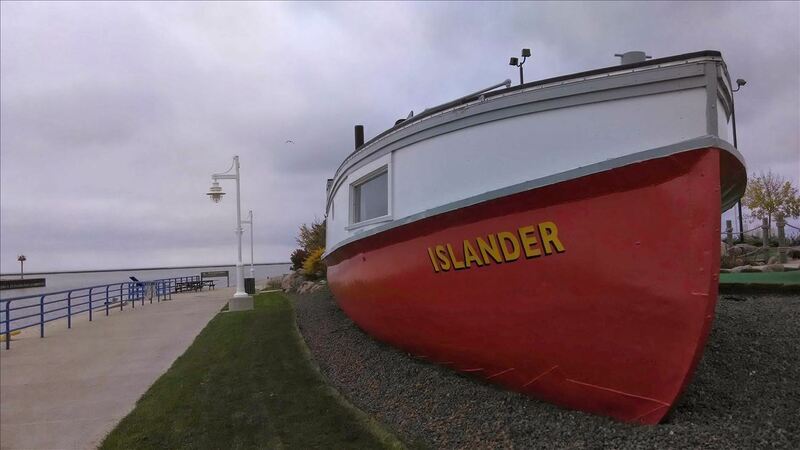 Near the mouth of the Sheboygan River, Wisc., you can view the Islander where it is on display as part of the Harbor Pointe Miniature Golf course. On the water, you may occasionally find a couple active gill net tugs fishing out of the River, too. Step aboard the 1936 wooden fishing tug Buddy O at the Rogers Street Fishing Village in Two Rivers, Wisc., and experience the traditional fisherman's powerhouse -- an antique Kahlenberg marine oil engine. Visit Great Lakes harbors and coastal working waterfronts to view and experience gill net tugs actively fishing still today. In Michigan, you may find gill net vessels operating out of Hammond Bay Harbor (Lake Huron), Whitefish Point (Lake Superior), and Manistique, Peshawbestown, or Beaver Island (Lake Michigan), to name a few. In Wisconsin, the Susie Q Fish Company fishes gill nets from the Avis J. and you might catch the Lafond's tug Oliver H Smith at their fish shop in Kewaunee, except for times when they're fishing whitefish in Door County. If not out fishing, you may find opportunity to view vessels at dock or unloading their catch of the day. Other opportunities may include the experience of riding aboard a historic gill net tug during an on-the-water tour community tour. Several coastal tourism operators have retrofitted old commercial gill netters to offer community tours, dinner cruises, and more. 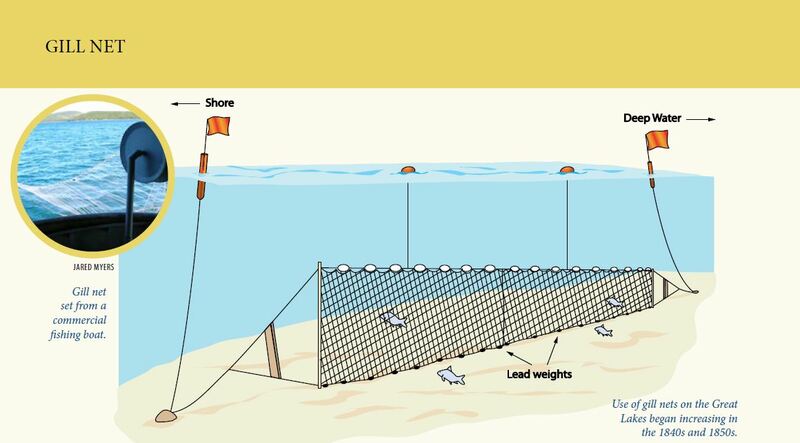 Explore this interactive map to discover some of these gill net tug exhibits, active fisheries, and experiences.